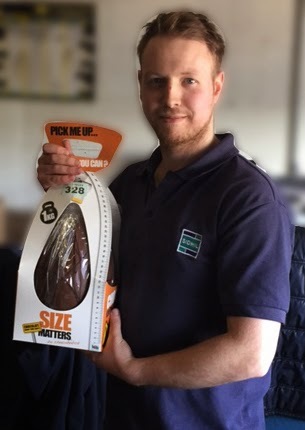 Sidhil News: Easter Egg Extravaganza!! 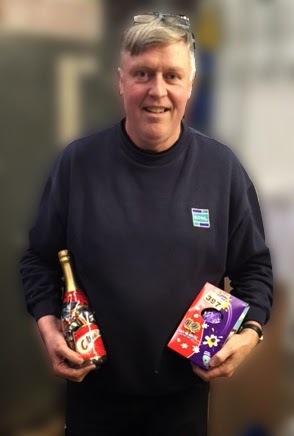 To celebrate Easter at Sidhil we had an Easter egg raffle, all money raised went to our chosen charity. The Forget Me Not Hospice... They're were some amazing eggs in the raffle, staff were tripping over each other in eggcitement to buy a strip of raffle tickets!! 1st Prize.. Size Matters Easter Egg. Mikey Nash - Showing us Size really does matter!! Thank you to Caroline Shannon for donating the easter eggs.